Yes. That’s correct. I really mean those prehistoric clunky VHS video tapes. 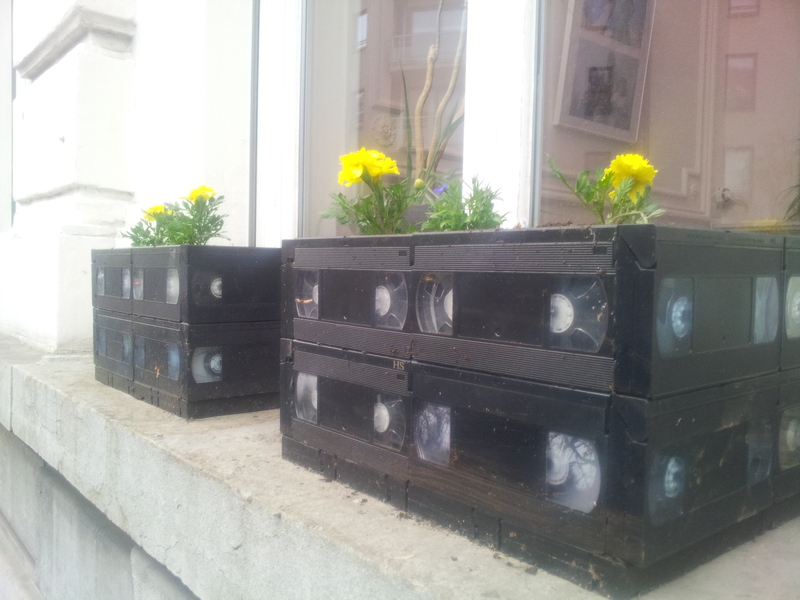 Walking along an otherwise unremarkable busy street today, I suddenly spotted these wonderfully quirky planters made entirely from old video tapes glued together. Not exactly my aesthetic style, but I appreciate the intent of transforming something old and relatively useless into a new object, especially when it’s used to grow plants! This entry was posted in Uncategorized and tagged innovative planters, recycling. Bookmark the permalink. Avocados are easy to grow from seed using this simple method. Just arm yourself with lots of patience.